Celebrated as one of the most important cultural, historical and financial centers of the American continent, Mexico City is a metropolis with nearly 10 million residents. 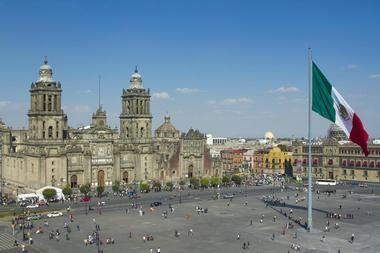 The greater Mexico City region is one of the largest metropolitan areas in the world with over 21 million residents. The city consists of 16 boroughs. Travelers will find numerous museums, historical landmarks, city-specific festivals and events and all kinds of cultural attractions With its compelling history as the center of the Aztec civilization and its wealth of modern amenities and tourist attractions, it’s no surprise that the city receives tens of millions of visitors every year. 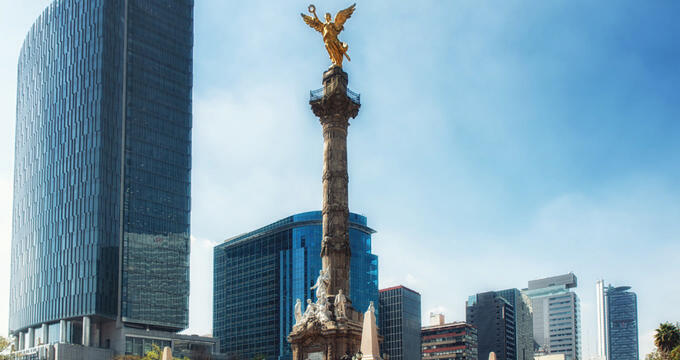 This monument is one of the most well-known sights in downtown Mexico City. Standing as an icon of independence, construction on this winged statue started in the mid 1800s but didn’t last long because of funding problems. Construction resumed in the early 1900s. The angel holds a crown of laurel in one hand and a broken three-link chain, symbolizing three centuries of Spanish rule before Mexico gained its independence, in the other hand. A small mausoleum containing the remains of Mexico’s most powerful generals and fighters is located at the base of the angel statue. Visitors can tour the inside of the angel statue and even take a trip to the very top of the statue with special permission. 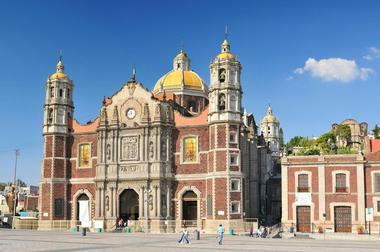 This grand Catholic shrine is known for being the National Shrine of Mexico. The history of the original basilica is a bit unclear, but experts assume it was built between 1531 and 1709. The basilica that currently stands in its place was built in the 1970s. Several million people visit this sacred site each year, and thousands flock to the basilica on the 12th of December, Our Lady of Guadalupe’s Feast Day. The basilica’s unique circular floor plan allows visitors to see the image of the Virgin of Guadalupe no matter where they are in the building. Ten chapels hide beneath the basilica's circular surface. 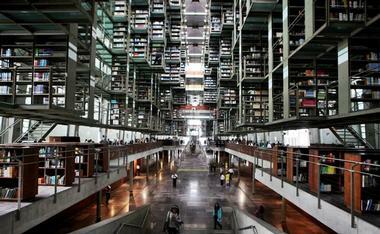 This stunning library in downtown Mexico City is celebrated as a “megalibrary” because of its jaw-dropping proportions. Designed by two of Mexico’s premiere architects, Alberto Kalach and Juan Palomar, the library boasts 38,000 square meters of floor space and holds an incredibly diverse collection of books from around the world. The building is like an optical illusion with its transparent walls, stacked balconies and long hallways. This special library has drawn in tourists and locals alike since its opening in 2006. 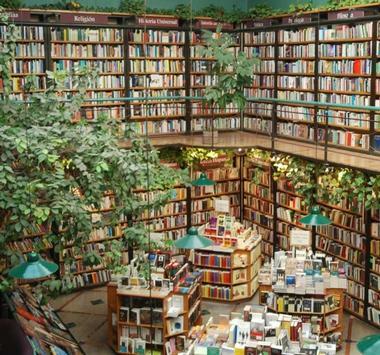 This quirky attraction is a mixture of a bookstore, a cafe and a forest. Massive bookshelves line the walls of this building, lush greenery hangs from the ceiling and elegant spiral staircases connect the floors. Visitors can dine and drink on the upper and lower floors of the building. Downstairs the dining is more formal while the upper floor contains sofas and oversized chairs for lounging. The bookstore doesn’t carry old or rare books, but there are plenty of texts in English and Spanish along with a large collection of CDs for sale. Unlike Europe, North America isn’t generally known for its castles. However, Mexico City is home to a stunning castle that was constructed in 1725 for the commander in chief of the New Spain, a Spanish colony. The castle was abandoned for a time and left in poor shape. In 1864 the castle housed another royal family, Emperor Maximilian I and his wife, Empress Carlota. Maximilian lived there for four years before his untimely death by a firing squad of his supposed supporters. 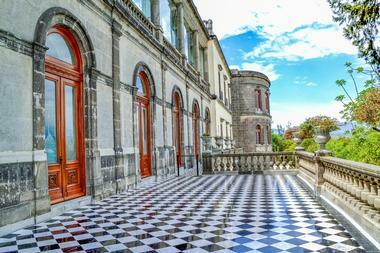 Today Chapultepec Castle is the seat of the National Museum of Cultures. Visitors can tour the castle and enjoy the large collection of artwork contained there. 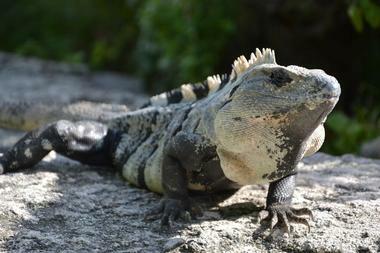 Animal lovers will find all kinds of unique creatures at the Chapultepec Zoo. Considered to be one of the best zoos in Latin America, Chapultepec Zoo is home to nearly 250 different kinds of animals. The animals are segmented into different bioclimatic zones, and zoo visitors have the chance to admire the golden eagle, gray kangaroo, caracal, California condor, spotted hyena and others. The zoo is also involved in breeding, conservation and research programs for some of the animals mentioned above. Chapultepec Zoo is open year-round and admission is free to all. 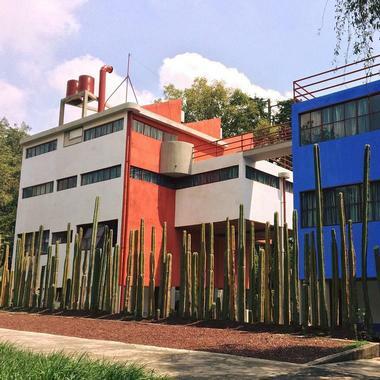 Two of Mexico’s most famous artists used to live in this prominent studio-museum, which is easy to recognize from the street because of its fence made of cacti. Featuring two buildings separated by a bridge, the inviting space contains pieces of artwork from the married couple. One of the highlights include Rivera’s papier-mâché renditions of humans, skeletons and animals. The homes were designed by Rivera’s friend, a renowned architect, in the 1930s. 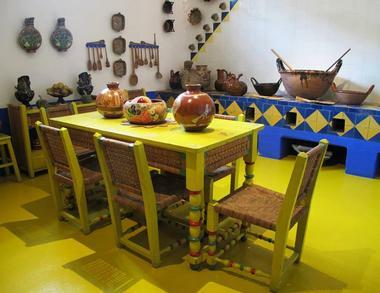 Kahlo and Rivera lived out a significant portion of their lives together in this special space. This museum is dedicated to the work of Frida Kahlo, a prolific Mexican artist whose work has inspired creatives all around the world. Kahlo’s career as a painter began around age 18 when Kahlo was left immobilized by a devastating accident. Kahlo’s art embodied multiple kinds of techniques, including surrealism, cubism and modern art. She is most well-known for her portraits and her folk art style. In the museum, visitors can see all kinds of drawings, paintings and portraits from different times in Kahlo’s life. The museum also contains a large amount of information about her life and her youth. This pyramid stood as a beacon of Tenochtitlán, the predecessor to modern-day Mexico City. It was built as a temple of worship to two gods; the god of war and the god of rain and agriculture. Construction of the temple dates back to the early 1300s, but numerous setbacks, including destruction by the Spanish in 1521, plagued the sacred site. Located in Mexico City’s historic center, the temple is a UNESCO Heritage Site and receives close to a million visitors per year. Researchers have done extensive excavation work at the site and have discovered marvelous artifacts, including effigies, clay pots, skeletons and more. 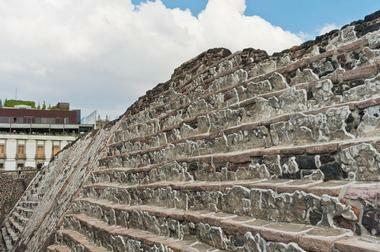 Visitors can see the Great Pyramid of Tenochtitlán on their own or as part of a guided tour. 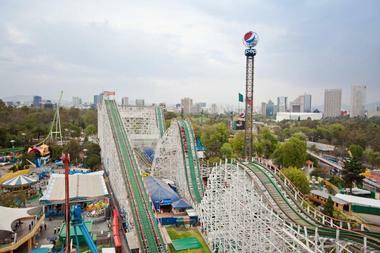 The Chapultepec Fair is one of the most exciting and exhilarating experiences that Mexico City has to offer. Open throughout the year, the fair features all kinds of attractions for the entire family. There are all kinds of theme park-style rides, carnival games, and seasonal attractions. Hair-raising roller coasters draw in teens and adults while younger kids can drive bumper cars or check out the arcade-style games at the fair. There are also a number of attractions for toddlers and babies. Visitors can purchase a one-day pass or buy season passes that grant access to particular attractions. The Sonora Market is a traditional street market with a mystic side. Visitors can find everything here from food, animals and clothing to holy water, magic soap and pamphlets containing ancient rituals to solve all of life’s problems. Relics from all kinds of religions and belief systems, including voodooism and Mexico’s version of sorcery, are represented at this eclectic market. 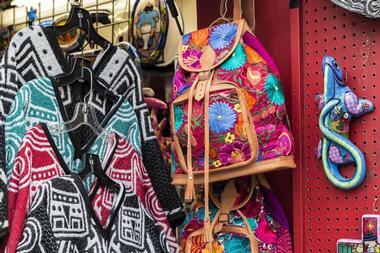 Visitors to Mercado de Sonora are sure to return home with interesting souvenirs for friends and family. 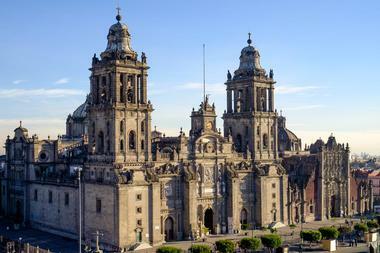 This stunning cathedral serves as the seat of the Roman Catholic Archdiocese of Mexico. Located on top of a former sacred Aztec site, this cathedral was consecrated in February of 1656. The building has withstood years of turmoil, natural disasters and other challenges. At one point it was on the list of the 100 Most Endangered Sites in the World due to the condition of the ground it was built on. The ornate cathedral with its soaring towers, sacred altars, cavernous main entrance and stunning pipe organ took nearly two centuries to build. Today visitors flock to the cathedral from around the world to worship and admire the craftsmanship of this special place. 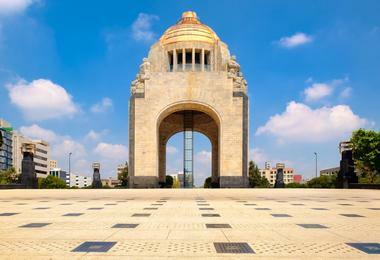 This monument to Mexico’s revolution sits at the heart of Mexico City. At 220 feet, it is the tallest triumphal arch in the world. The structure took years to complete and survived several changes of political power. In 1938, the monument was deemed finished under President Lazaro Cardenas. In addition to standing as an emblem of the revolution, the building acts as a mausoleum for some of Mexico’s revolutionary heroes. 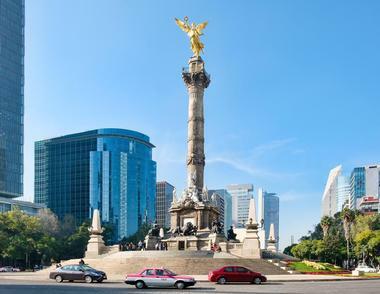 The monument can easily be seen from the main thoroughfares that crisscross Mexico City near the Plaza de la Republica. 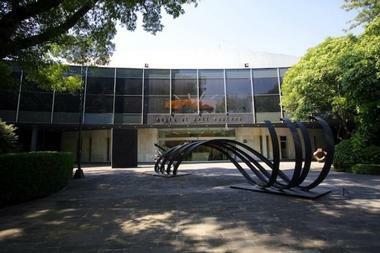 Located in Chapultepec Park, the Museum of Modern Art displays works from some of Mexico’s artistic masters. Frida Kahlo, Olga Costa, Diego Rivera and a handful of other prominent artists are represented in the museum’s extensive collection.The oldest pieces of art in the museum date back to 1930. In addition to permanent exhibits there are a number of rotating exhibits for visitors to see. There are also four meeting rooms in the building that are used for lectures, special events, educational seminars and other gatherings. The museum is open throughout the year. 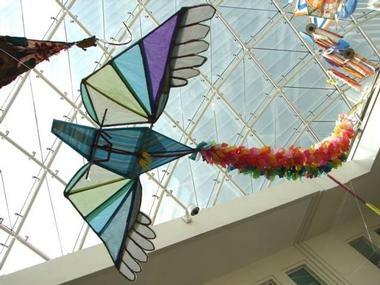 Located in downtown Mexico City, the Museum of Popular Art contains an array of Mexican handcrafts and folk art. The museum was opened in 2006 and holds permanent and rotating collections of pieces from various parts of Mexico. Most of the pieces in the museum are sorted into five “themes”, including objects from daily life, religious items, magical things, original popular art pieces and roots of popular art. The museum is also known well for sponsoring the yearly Noche de Alebrijes parade, an event where extraordinary mythical creatures are built and paraded through Mexico City’s main thoroughfares. This museum showcases more than 20,000 toys and playthings from the early 20th century. Robert Shimizu Kinoshita’s mind-boggling collection of toys spans four floors of the museum. The prominent architect began his collection at the age of 10. The museum has an eclectic feel, with no rhyme or reason behind the massive collection of toys. Highlights include a giant doll head and a “speakeasy” located on the roof. 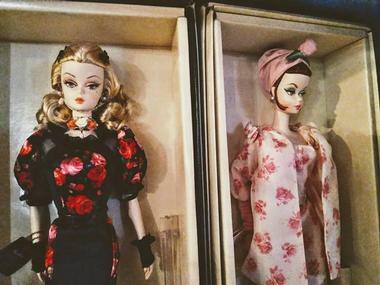 Visitors can pick up a quirky vintage toy at the museum’s gift shop as a reminder of their visit. 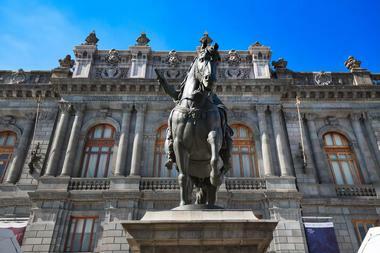 At the Museo Nacional de Arte visitors can enjoy art from the mid 16th century to the 20th century. The museum was founded in the 1980s but was re-inaugurated in 2000 after months of remodeling and technical upgrades. The museum’s permanent collection contains more than 3000 items, which are sorted and displayed by time period. There are also some contemporary exhibits focused on photography and other more recent forms of art. The Museo Nacional de Arte regularly hosts speeches, round table discussions, projects and studies. The institution also has a robust volunteer program for youth and adults. 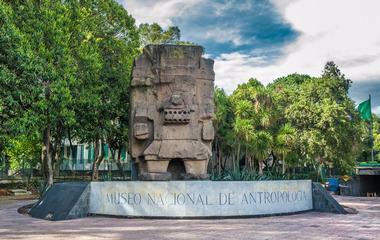 As the most visited museum in Mexico, the National Museum of Anthropology focuses on Mexico’s Pre-Columbian heritage. Some of its highlights include the Stone of the Sun, also known as the Aztec Calendar Stone, and the Aztec Xochipilli statue. The museum itself is a local attraction with its monumental exhibit halls, a large courtyard with a central pond and several sprawling gardens. The museum contains many items from Mexico’s history as well as rotating exhibits with archaeological artifacts from other countries. The historic center of Mexico City is one of the best places for experiencing the rich culture and diverse history of Mexico. 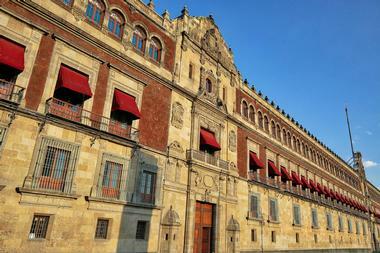 The National Palace houses the offices of the Mexican President, the Federal Treasury and the National Archives. Art lovers flock to this building to see the large-scale murals by Diego Rivera, one of Mexico’s most celebrated artists. Fourteen courtyards, a royal chapel, a national library and other interesting attractions are also on display at this central spot. The gardens are an excellent place for sightseeing and walking. 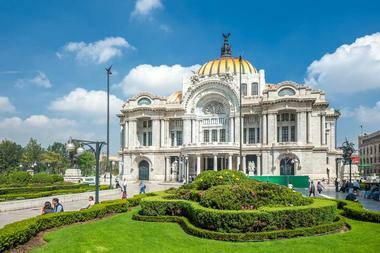 Known for being one of Mexico City’s most visited destinations, Palacio de Bellas Artes receives nearly 10,000 unique visitors every week. The elegant building boasts a marble facade and dragon scale roof tiles that shimmer in sunlight. Completed in 1934 after 30 years of construction, the building has several architectural highlights, including a breathtaking stained glass “curtain” made of nearly one million pieces of glass. The building also holds numerous murals spread across several floors. Palacio de Bellas Artes is often used for special events and gatherings. 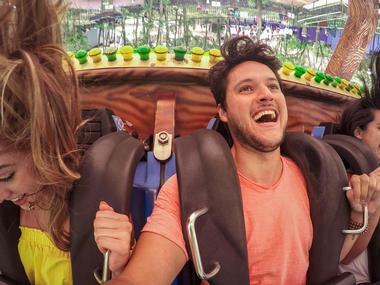 With its mix of extreme roller coasters and family-friendly rides and attractions, thrill seekers will find no shortage of fun at Six Flags Mexico. This amusement park is home to several roller coasters that drop riders from dizzying heights at thrilling speeds. In addition to roller coasters, Six Flags has a bunch of carnival-style rides that are safe and fun for all ages. Visitors can also enjoy live performances all throughout the year. 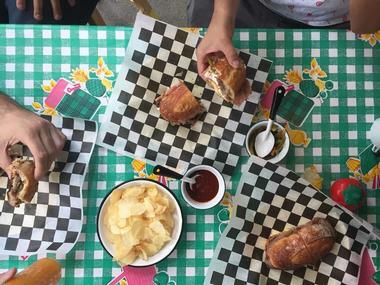 After getting all the thrills out, guests can grab a bite to eat at a Mexican, American or Italian restaurant inside the park. Six Flags sells various kinds of day passes as well as year-round passes for repeat visitors. 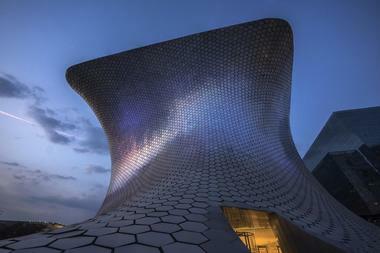 Opened in 2011, the Soumaya Museum is housed in one of the most whimsical and eye-catching buildings in Mexico City. The 170,000 square foot tower cost $70 million to build and features a glittering array of hexagonal aluminum tiles on its walls. Inside, visitors will find an incredible 66,000-piece collection of art. The entire museum was donated by Carlos Slim Helu, one of the richest men in the world, and designed by his son-in-law. Admission to Soumaya Museum is free for all. This soaring skyscraper is considered one of the most significant structures in downtown Mexico City. Standing at 595 feet tall, Torre Latinoamericana is recognized internationally as an engineering marvel because it was the first skyscraper built on seismically active land. The building was put to the test in 1985 when a 8.1 magnitude earthquake shook the entire city, but left the skyscraper unscathed. Torre Latinoamericana was also the tallest building in the city for nearly 30 years until a 702-foot skyscraper took its place. Currently, the building is used as office space for several major Latin American corporations and a local radio station. Zócalo is the name of Mexico City’s main square. Also known as the Plaza de la Constitucion, this historic spot has been a key gathering area since Aztec times. Mexican ceremonies, military parades, religious events and major festivals have been held at this sprawling site in downtown Mexico City. The site sits just one block away from Templo Mayor, which the Aztec people considered to be the center of the universe. At nearly 60,000 square meters Zócalo is one of the largest central plazas in the world. It is bordered by a number of important government and historic buildings. 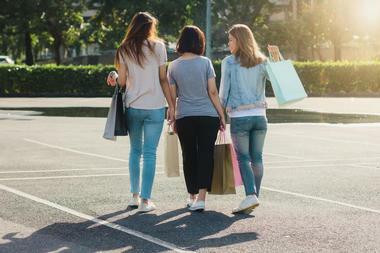 Zona Rosa, or the “Pink Zone” in English, is a mecca for shopping and nightlife. It is primarily known for its thriving gay community and burgeoning Korean community. The area started as a haven for wealthy expatriates who wanted to live outside of the city center. In the 1980s, scores of upscale businesses and trendy nightclubs set up shop in Zona Rosa. The area has declined a bit since its heyday nearly 40 years ago, but revitalization efforts are underway. Locals and visitors still flock to the area for gay pride parades and other important social events.